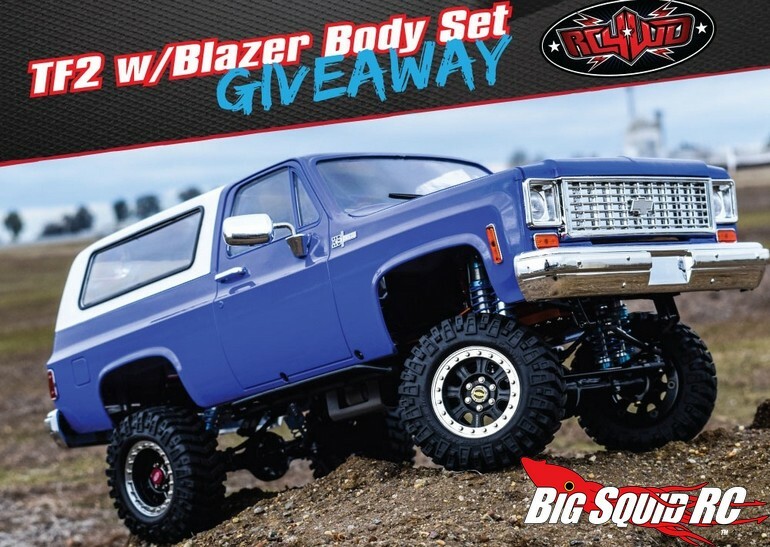 RC4WD TF2 Blazer Giveaway « Big Squid RC – RC Car and Truck News, Reviews, Videos, and More! Want to win a new scaler? Better yet, an extremely trick, customized rig? The hard working guys over at RC4WD have announced that they are giving away a custom Trail Finder 2 with a Blazer body set. The TF2 comes with one of RC4WD’s scale realistic Chevy Blazer bodies, as well as one of their scale V8 engines. There is no purchase necessary to enter and they are accepting entries until April 3rd. To get all the details on the giveaway and how you can get your chance to enter simply use This Link to head on over to RC4WD’s official website. Give This Link A Click for more RC4WD news on BigSquidRC.